Is there any paperwork or document for the mechanical systems of 2548 Salem Rd, Ajax, Ontario? I need more information about the property at 2548 Salem Rd, Ajax, Ontario. How ist the neighborhood, location and nearby amenities for 2548 Salem Rd, Ajax, Ontario? I have questions about the roof, foundation, insulations and mechanical issues of 2548 Salem Rd, Ajax, Ontario? I need more information about property details. What's wrong with this house? Is this a short sale? Is there any maintenance for 2548 Salem Rd, Ajax, Ontario? What is this property worth in today's market? What are "closing costs", and how much? What steps should I take when looking for a home loan? What price home can I afford? Is my credit good enough to buy this house? What are the best mortgage options for me? How flexible is the seller on the asking price? How low can I consider offering for 2548 Salem Rd, Ajax, Ontario? Attention Investors, Developers. 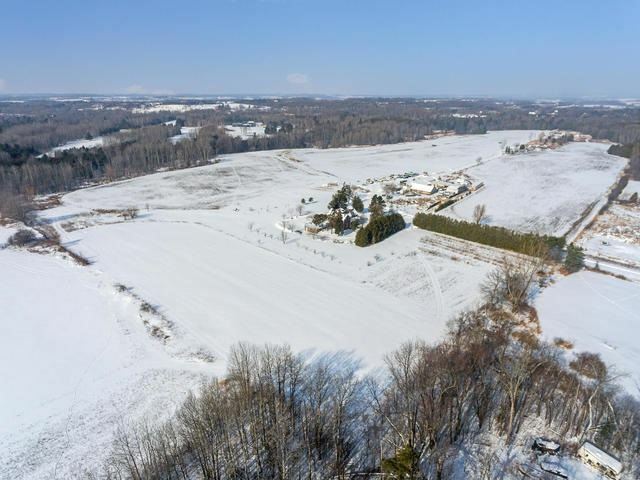 Here Is Your Opportunity To Own 100 Acres Of Spectacular Land Right On Salem Rd With A 2nd Entrance Off Concession 5. Property Includes Modernized, Rebuilt 2700 Sq Ft Home Plus Another 10,000+Sq Ft Of Out Buildings/Barn. Property Is Lined With Trees. See List Of Uses. Easy Access To Hwy 401/407. Potential To Sever Land Into 49 And 51 Acre Pardels. Include All Appliances, Window Coverings, Light Fixtures.